Black Panther's big-screen debut came with an empowering message, a meticulously crafted origin story…and not a lot of fan-friendly Easter eggs. 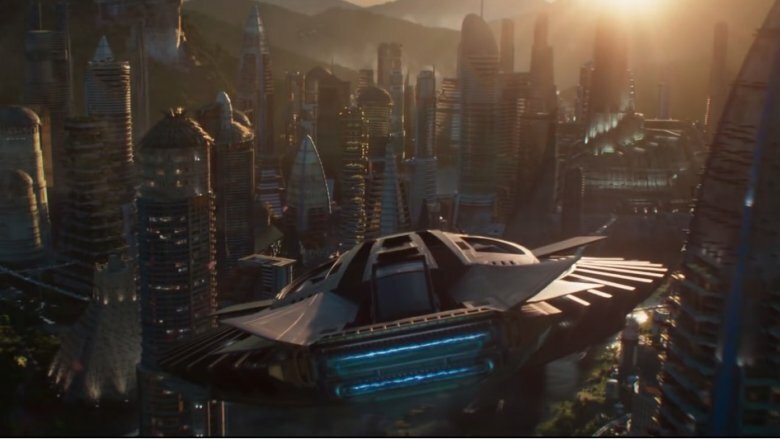 Wakanda, as a fictional African nation, and an idea in the MCU universe, remains pretty isolated from the rest of Marvel world in every sense — and deeply entrenched in its own rich mythology. With that in mind, here are some small details in Black Panther that you might have missed. While a disproportionate amount of MCU movies — and the Marvel comics that inspired them — take place in and around New York City, Black Panther switches things up a bit. The story starts off in Oakland, California during the early 1990s, setting up the tragic story of Erik Stevens, a.k.a. Killmonger. His comic book origins send him to Harlem, but this sequence's Oakland setting isn't accidental; it's the city where director Ryan Coogler grew up, and it's also where the real-world Black Panther Party traces its origins. Even though Black Panther wasn't named for the group — and Marvel actively tried to distance itself from it by changing the character's name to Black Leopard for a brief period in the '70s — the politically charged choice of Oakland is undeniable. That Public Enemy poster on the wall of N'Jobu's apartment confirms it. Despite having limited screen time in both Civil War and Black Panther, T'Challa's father, T'Chaka, has a huge influence in the MCU. In both films, he's played by veteran actor John Kani…except when he shows up at N'Jobu's 1990s apartment as a young man. 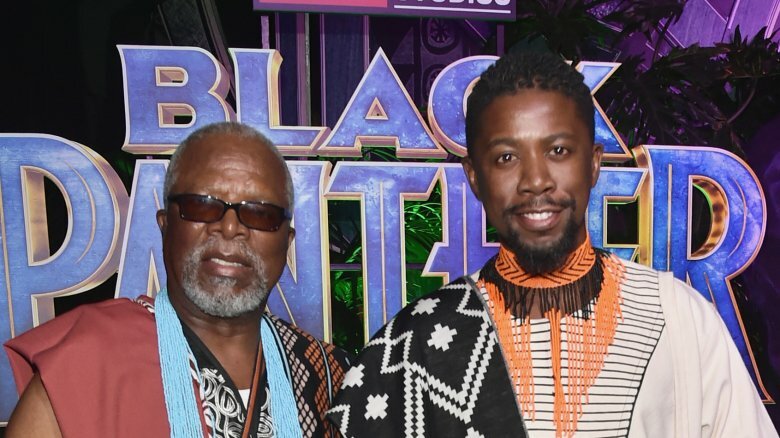 Rather than digitally de-age the elder actor and end up with a distracting Superman's Mustache experience, Marvel hired John Kani's actual son, Atandwa Kani, to play T'Chaka as a young man. The younger Kani strikes a pretty close resemblance to his dad, so the casting choice was obvious. How do you fit the very important character of Man-Ape into a movie without making it horribly racially insensitive? For starters, you don't call him Man-Ape, but use his given name, M'Baku — and then you give him a primate mask anyhow, just in case no one made the connection to the comic character. The hulking warrior from the comics does clash with T'Challa pretty often, but just like in the MCU, they're able to put aside their differences now and again. In the comics, it was for Black Panther's wedding to Storm. 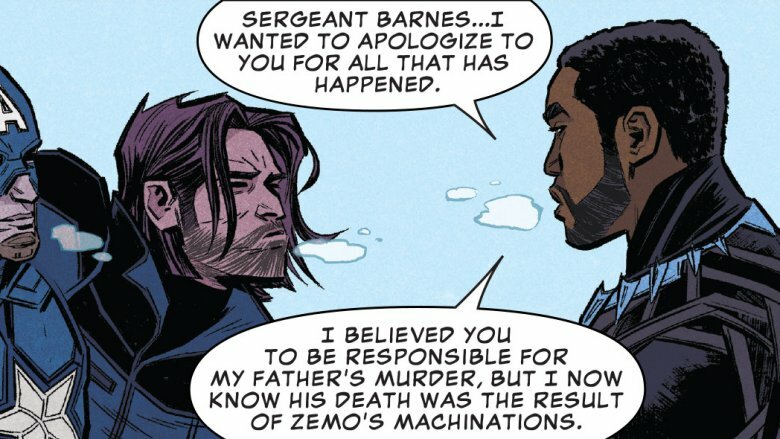 As for the triceratops-looking mask that Killmonger decides to steal from the museum, it's doesn't have an exact comic book counterpart, but it does bear some similarities to a mask Killmonger dons in ritual combat in 2008's Black Panther #38, inasmuch as it has two kinda pointy things on it. But mostly, the MCU's Killmonger is a far cry from the comics, diverging in both goals and backstory, even though both enjoy taking off their shirts. Mercifully, comics Killmonger's penchant for beating people with a spiked belt is also not on display in the MCU. While shouting a reference to a meme isn't exactly a "small detail," here's a hint for anyone not neck-deep in social media. When Shuri questions T'Challa's choice of footwear by shouting "What are those?" it's a reference to the very dankest of memes: a viral video clip in which someone criticizes the footwear of a police officer making an arrest in a similar fashion. At least it wasn't "Damn, Daniel," right? You can keep on living your life now, knowing that even teenagers in the utopia of Wakanda make very bad choices when it comes to internet usage. Bonus shoe joke points go to dropping a reference to Back to the Future II's self-lacing shoes, even though Shuri's version of the sneakers gets a serious upgrade. Marvel Comics' Black Panther made his on-page debut kicking the collective butts of the Fantastic Four for fun in nothing more than a sleek, simple, black outfit. As time went on, his comics garb hasn't gone through too many changes, though Black Panther would occasionally wear a cape and different sets of thorny neck adornments. Marvel's movies have given us pretty much the full assortment of Panther's costumes already, and when Shuri is showing him his options for his latest and greatest crime-fighting tech, each of those comes from a comic book era. Tech (and magic) from the comics also includes those Kimoyo bead bracelets, which can make phone calls, stabilize deadly wounds, and presumably stream entire seasons of Golden Girls without buffering. The heart-shaped herb also hails from the comics, as well as the ancestral plane to which it sends those who consume it. Just how many white boys DO get into Wakanda, given how isolated it is from the rest of the world? Klaue claims that he's the only non-Wakandan to have ever seen the country, but that's just not true. He's clearly unaware of Marvel's Avengers: Infinity War Prelude #1, which sees Shuri slowly repairing the one-armed Bucky, both mentally and physically. It won't be long before he gets a replacement arm, fresh from Wakanda, and gets back to fighting condition by the time Thanos arrives. The role Wakanda plays in the battle against the Mad Titan remains to be seen, but if Infinity War's trailers are anything to go on, it'll be a major one. 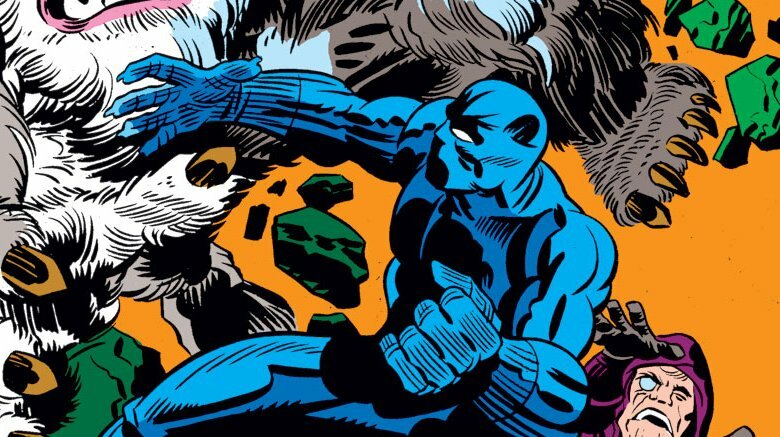 As T'Chaka's appearance early in the film showed, T'Challa's Black Panther is just one of a long lineage of super-powered Wakandan protectors — and while T'Challa is the most well-known Panther, Bashenga is one of the greatest and oldest in that line. 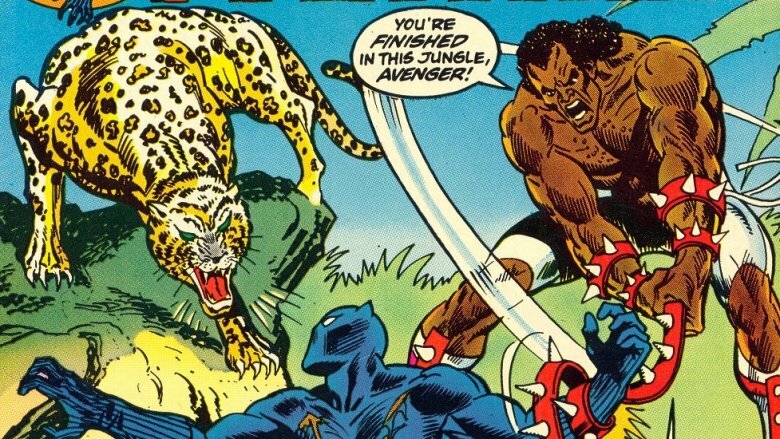 In the comics, Bashenga was one of the first to don the garb and name of the Black Panther, and the originator of both Wakanda's isolationist leanings and the religion of the Panther God. In the Black Panther movie, Bashenga is subtly referenced with the name of the mountain over which the mound of Vibranium is stored: Mt. Bashenga. There's often another namesake of Bashenga's floating around the Marvel universe — The Spear of Bashenga, a ceremonial weapon wielded by the current chieftain of Wakanda — but if it appeared in the movie, it wasn't explicitly named. T'Challa's smart-aleck sister Shuri was easily a stand out in a movie packed to the brim with stand-out characters, but she may originally have had even more to do in the original script. 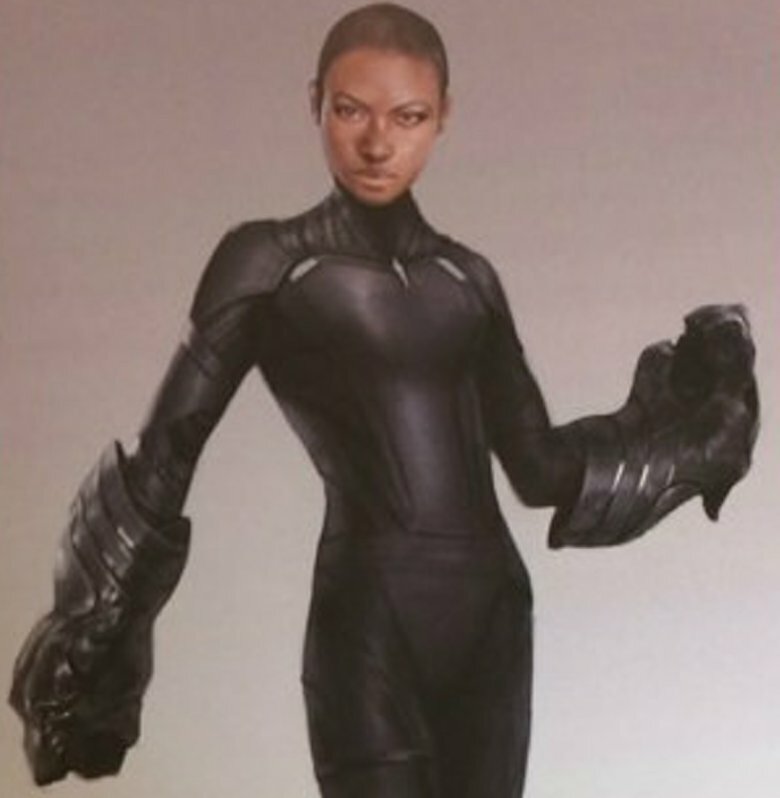 Concept art from Marvel's Black Panther: The Art of the Movie showed Shuri decked out in a vibranium Black Panther suit herself, with the same gauntlets she ended up wearing in the actual climax of the film. From the concept art, it seems like the Black Panther creators were interested in at least hinting at the comics storyline in which Shuri takes over as the Black Panther and the Queen of Wakanda. There may be a winking reference to that storyline in the actual movie itself as well. On T'Challa's challenge day, Shuri is the one who raises her hand for the right to challenge him for the throne of Wakanda; a moment that's played for laughs when it's revealed that she was just tired of wearing an uncomfortable outfit. In the comics, however, Shuri actually does attempt to battle for the throne of Wakanda but is beaten to the punch by her quicker older brother, T'Challa himself, leading to jealousy and resentment. We'll have to see if — in future installments — their movie relationship fares slightly better than their comics counterparts. While every character in the movie is changed at least slightly from their comics origins, the character of Nakia (Lupita Nyong'o) is almost a completely different character. In the comics, the Dora Milaje were T'Challa's brides-in-waiting, bodyguards that were betrothed to the king indefinitely unless he were to actively choose them (as part of a complicated peace treaty between Wakandan tribes). 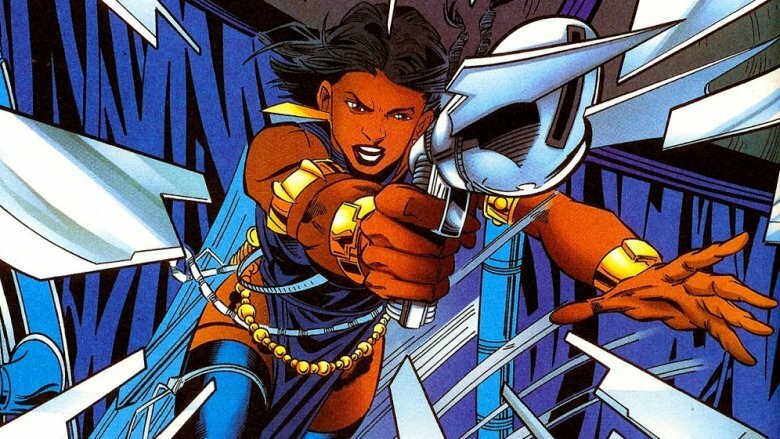 Accordingly, the comics version of Nakia was a Dora Milaje who became obsessed with T'Challa to the point of becoming the mind-controlling villainess Malice. In Black Panther, Nakia is the opposite of her comics counterpart in almost every way. 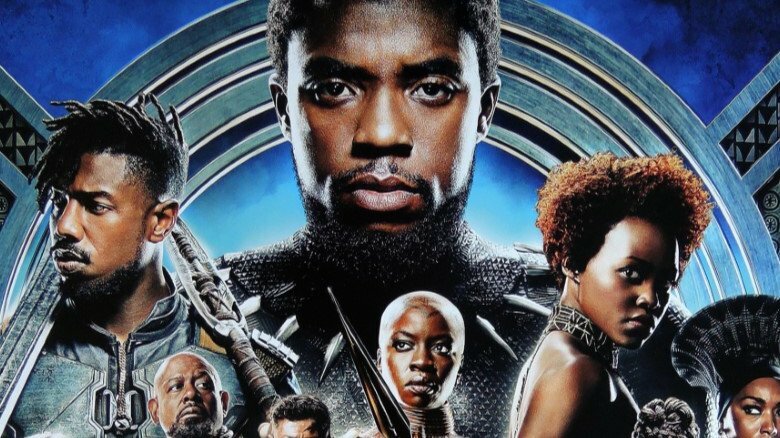 Nakia is brave, selfless, and T'Challa's romantic equal rather than a spurned lovelorn teenager, so you would be forgiven for thinking that the filmmakers kept nothing but the name. Still, there's a nod toward her Dora Milaje comics roots when Nakia dons herself in Dora Milaje armor for the final battle — something she does with no small amount of protest. As with every Marvel movie, fans were given a couple of fun post-credits sequences. The first seemed to be fairly tame for Marvel fare, featuring T'Challa preparing to announce Wakanda's technological prowess to the United Nations. If the scene felt familiar to you, it's not just because it's an echo of the preceding scene of Black Panther where T'Challa announces Wakanda's presence to some Oakland children. 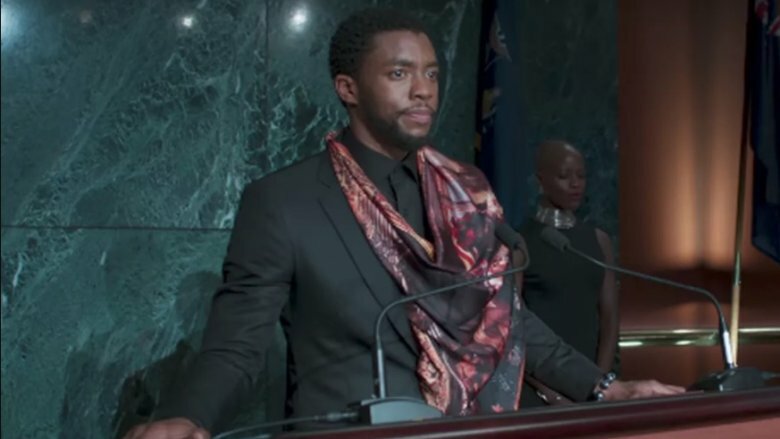 T'Challa's U.N. announcement was also a visual callback to the ending of Iron Man, way back at the very beginning of the Marvel Cinematic Universe. Both movies feature a famous man surrounded by an audience absolutely baffled by why the conference was called, just moments before a world-changing revelation is revealed. By positioning the ending of Black Panther to match the ending of Iron Man, it seems like Marvel is positioning Black Panther to be the leading man for the next phase of Marvel movies. The second post-credits sequence of Black Panther showcased Bucky, seemingly cured of his brain-washing, with kids nearby calling him "the White Wolf." While Sebastian Stan fans might have thrilled to see their favorite actor pop up in Black Panther, the scene has more meaning than it seems at first glance. In the comics, Hunter, the White Wolf, is Wakanda's spymaster, as well as T'Challa's caucasian adopted brother. He and T'Challa have feuded back and forth over the years, with Hunter proclaiming himself to be loyal only to Wakanda, even if that brings him into conflict with Wakanda's king. 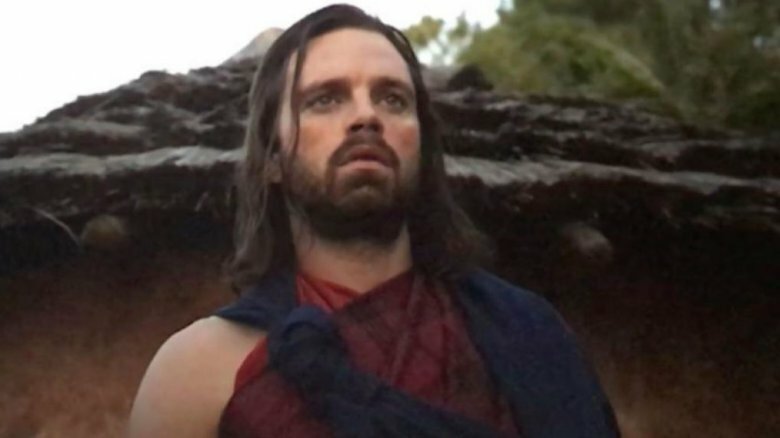 Connecting one caucasian former spy in Bucky to the White Wolf could be just a fun reference, or it could be establishing where Bucky will be spending his time following the conclusion of Avengers: Infinity War. Maybe there's a new superhero identity for our favorite brainwashed super spy once he hangs up the Winter Soldier duds. When T'Challa, Nakia, and Okaye enter the casino in South Korea to capture Klaue, it's the start of one of the best-looking action sequences of the movie. 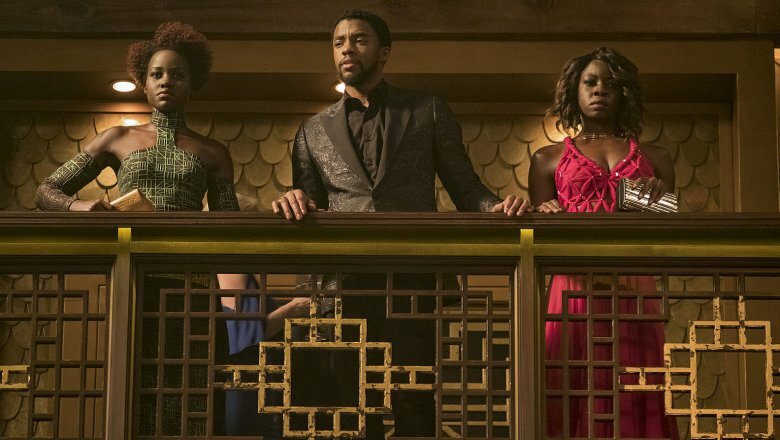 There's plenty to admire in the scene, from the striking set design to the excitement of seeing T'Challa, Nakia, and Okaye strutting through the casino in their best spy outfits. But one excellent detail is buried in those stylish looks. 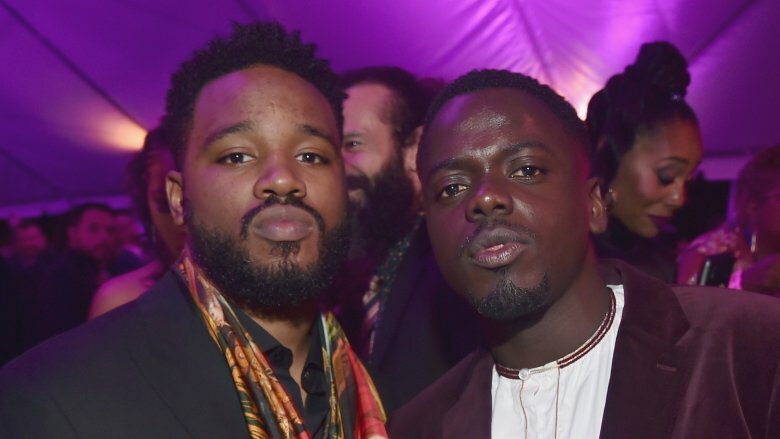 Nakia is dressed in all green, Okaye in all red, and T'Challa is wearing his characteristic black, and together their color scheme matches the Pan-African Flag. Considering that one of the defining themes of the movie is banding together beyond tribal barriers, it's a beautifully visual way of depicting that theme through three different characters who band together to do what's right.